Over the next few weeks we will be celebrating two holidays: Veteran’s Day on Monday, November 12th and Thanksgiving on the 22nd. I have so much respect for our great American Veteran’s, and plan to catch the Veteran’s Day parade held on Saturday, Nov 10 at 11:00 AM at Parnell Avenue & Veteran’s Plaza. During the Thanksgiving season I always take time to think about the many blessings for which I am grateful. Once again I am especially thankful this year that you, the voters of Wayne Township, have given me the privilege of serving as your Trustee for another four years. This has been a wonderful job for me over the past eleven years. Being able to help those in need and watch them progress toward independence is exactly what I think public service should be. I am grateful for the opportunity to carry on this work. In January of 2007 I took office during a “perfect storm.” The economy was getting worse and worse and more clients needed our help. Yet, tax revenue was dwindling, and we had fewer dollars available for assisting our clients. We had to find innovative ways to continue to provide the best service possible with less money. To tackle these problems we spent time revising our Township Eligibility Standards. We placed caps on the amount of assistance we were providing while at the same time looking at ways to help clients become independent and no longer need Township Assistance. We really focused on our Employment program. We created our “Employment Training Center” and started our Wednesday employment training classes. All clients able to work were required to attend employment training each week. We improved our Workfare Department, which oversees the work clients are required to perform for non-profit agencies in exchange for their assistance. In our Representative Payee Program, we developed better communication with clients and started a procedure to make sure each client was getting all the benefits to which he or she was entitled. The Representative Payee Program helps clients, most of whom receive Social Security disability benefits, to manage their own money. The program has been and still is a service provided for the public at no cost to the clients. Most importantly, during the past eleven-plus years, I have continued to stress the importance of treating every person who walks through our door with dignity and respect. Any one of us could fall on hard times. I believe we must treat clients the same way we would want to be treated if we were on the other side of the desk. 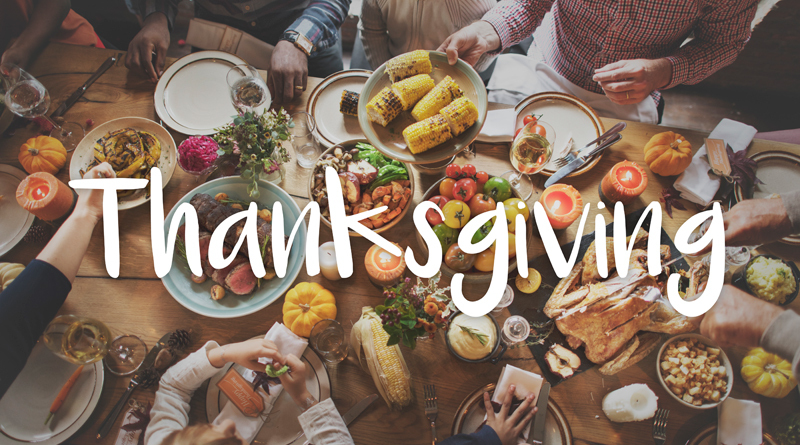 Our whole community works to help those in need, and I’d like to mention a few places where people looking for a good Thanksgiving meal can head to this season. In our local community, Waynedale United Methodist at 2501 Church Street will be serving turkey on Monday November 12th from 5:00 to 6:00 PM. On Saturday November 17 the “Dinner of Thanksgiving” will be held at Pilgrim Baptist Church at 1331 Gay Street at 2:00 PM. This is a feast that was originally started by our own LeRoy Page and his wife Sylvia. LeRoy worked here at Wayne Township as Director of Employment, and we’ve missed him since his passing last year. His wife is continuing their tradition of providing a free Thanksgiving meal to all who come. These are just a few of the Thanksgiving Dinner opportunities here in Fort Wayne. Everyone should be able to find a place to celebrate their own gratitude for life’s goodness. Thank you!